Hello everyone and welcome to our first week of Penny Black Pairs. 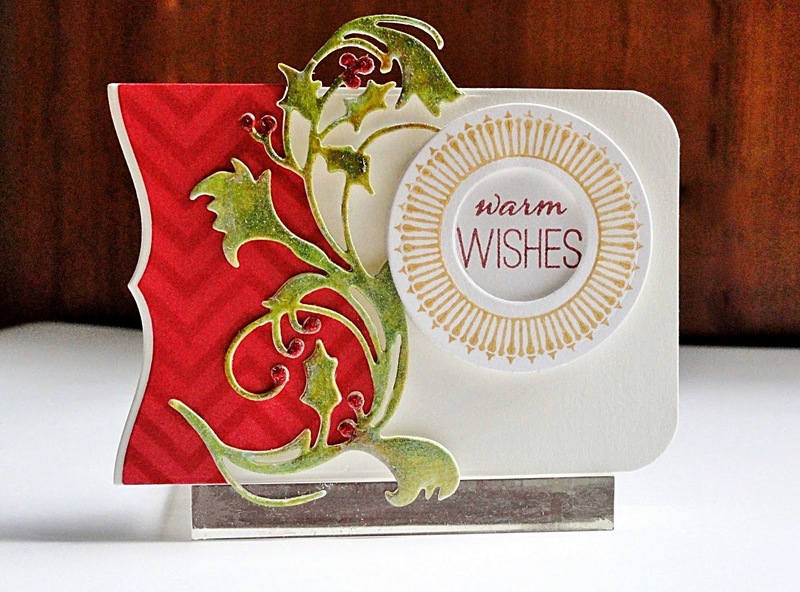 This week Jill and I will be creating with Penny Black's Creative Die: Holly and Berries. 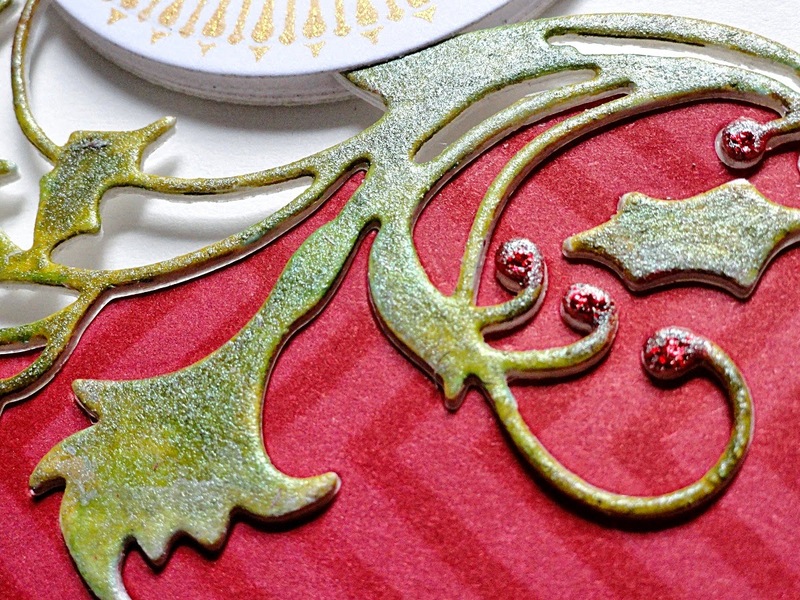 For my card, I began by die cutting Holly and Berries three times from heavyweight cardstock. One of the die cuts was colored with Distress Paints, (after drying) pounced with Frost VersaMark Watermark Ink and then dusted with Interference Perfect Pearls. A fixative spray was used to seal all the colors. All three pieces were then layered and glued to form a chipboard embellishment. A small piece of red cardstock stenciled with Zigs & Zags in Love Letter Memento was then die cut with the Holly and Berries so the previously created embellishment could be nestled into the design. All the berries were accented with Red Stickles. The medallion was created with the circular flourish from Joy Filled which was stamped on white cardstock with Delicata Golden Glitz. 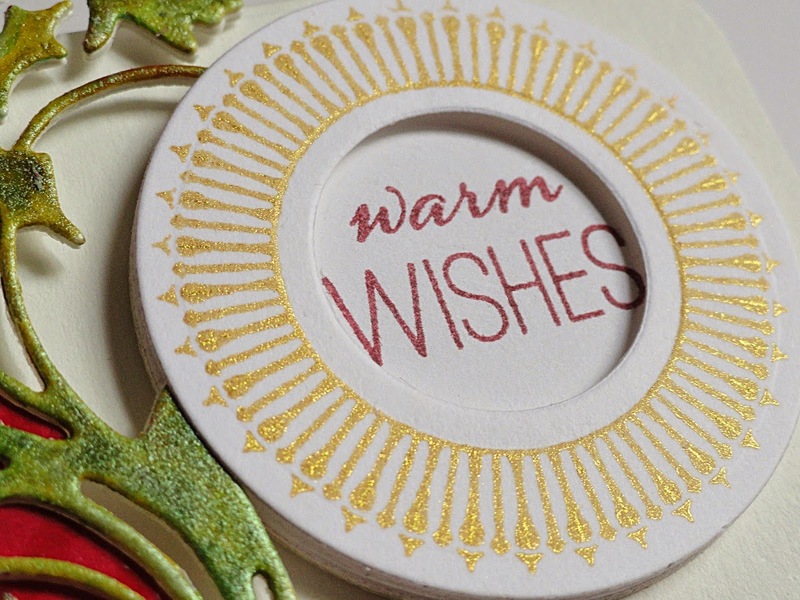 After die cutting around the design and in the center with circles, a separate die cut circle stamped with Warm Wishes in Crimson Red VersaFine was placed below the medallion. 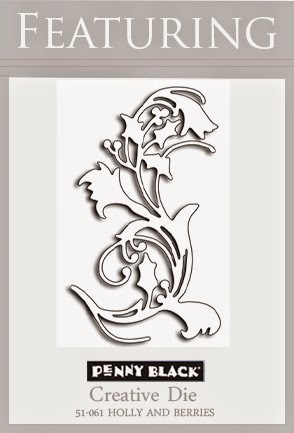 I love Penny Black's journal die cut shapes too! They are great for making card bases. I used the one from Shades for today's design. If you would like to download a pdf containing supplies and instructions for this project, click HERE. Stay tuned...you don't want to miss seeing what Jill has designed with Holly and Berries!